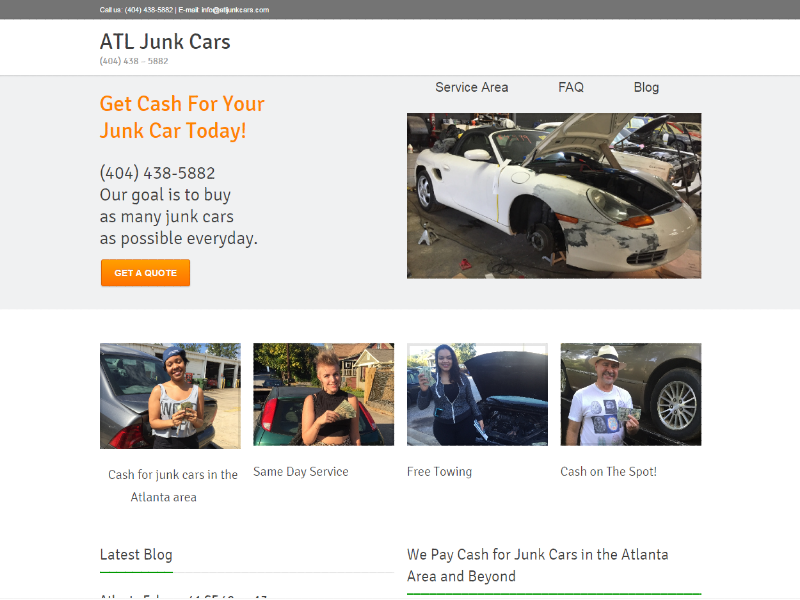 ATL Junk Cars buys and sells junk cars in the Atlanta-Metro area and needed to have an improved website that not only offered an easy way for visitors to call them, but to be easily optimized to be found on the web. I built this website with ease of navigation in mind, featuring a big bright green call button on mobile platforms that calls the owner when pressed. 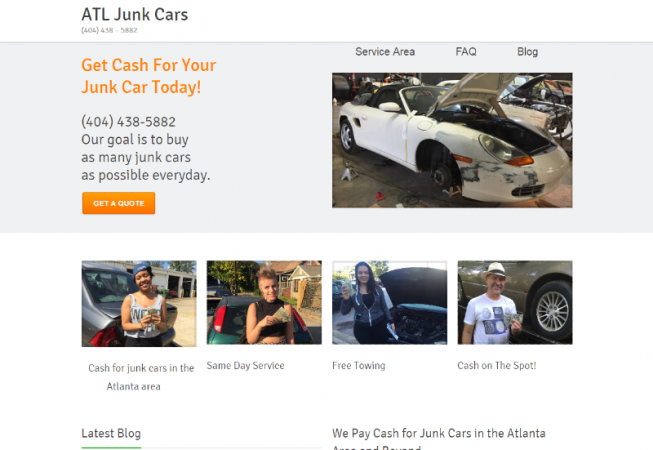 It also offers an easily found form to request the type of car they have and/or interested in. Their previous website wasn’t gaining any traction and since building this site it has increased the Seach Engine rankings by over 50%. I’m very happy about that, and so are they.